As we age, our skin gradually loses collagen, the main protein that keeps skin soft and wrinkle-free. Through the use of concentrated beams of light, Fractional CO2 laser resurfacing stimulates collagen production and causes a resurgence of new, undamaged skin. As a non-surgical facial rejuvenation treatment option, Fractional CO2 laser resurfacing is ideal for patients who don’t want to undergo a surgical facelift, but still want to achieve a more youthful appearance. As a non-surgical facial rejuvenation treatment option, Fractional CO2 laser resurfacing is ideal for patients who don’t want to undergo a surgical facelift, but still want to achieve a more youthful appearance. A popular facial rejuvenation treatment, Fractional CO2 laser resurfacing is a terrific way to restore soft and youthful skin. 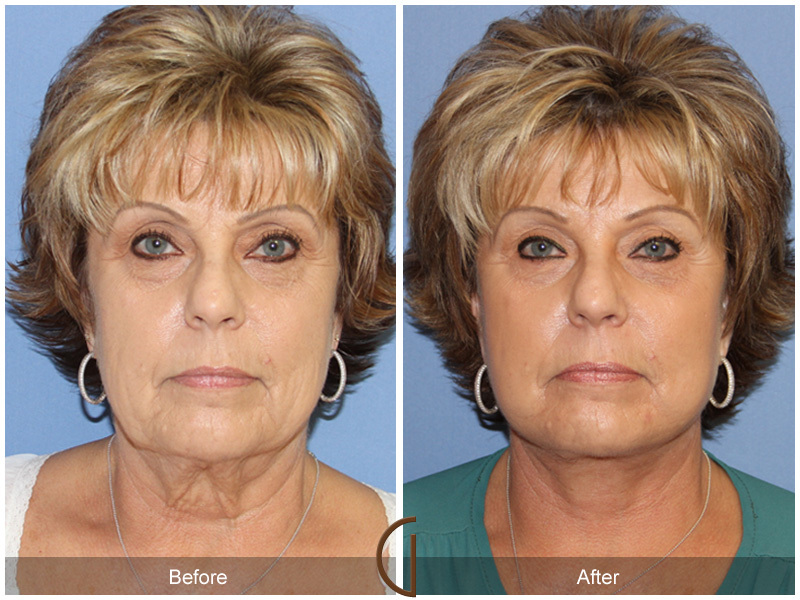 During the quick 30 to 45 minute procedure, Dr. Sadati will apply the Fractional CO2 laser to the treatment area. As the laser works to remove surface imperfections, it will simultaneously stimulate long-term collagen growth to promote the resurgence of new and undamaged skin. Immediately following the procedure, some temporary inflammation, redness and minimal scabbing is to be expected as a normal part of the healing process. Mild redness should fade within one to two weeks, and patients can typically return to their daily routine after four or five days. While patients will notice an immediate improvement in the appearance of the skin, it takes approximately six months for the full results to appear. If you are considering Fractional CO2 laser resurfacing, your first step will be to meet with Dr. Sadati for a private consultation. During this meeting, Dr. Sadati will seek to understand your unique needs and cosmetic objectives, before thoroughly evaluating the signs of facial aging that concern you most. From there, he will explain your surgical and non-surgical options and help you determine if Fractional CO2 laser resurfacing can achieve your appearance goals. Known for his compassionate and welcoming demeanor, Dr. Sadati will take the time necessary to ensure you are completely comfortable with and educated on the procedure before moving forward. A leader in the field of facial plastic surgery with countless successful procedures, Dr. Sadati is among the most qualified specialists to apply advanced surgical and non-surgical treatment options to deliver the youthful glow you desire. As a double board-certified surgeon, Dr. Sadati is not only an expert in facial plastic and reconstructive surgery—he is also well versed in head and neck surgery. With this extensive knowledge in cranial structures, Dr. Sadati is fully qualified to safely and discreetly reduce signs of aging on the face to deliver a refreshed, rejuvenated appearance.